Roof Ventilation Chart – Product comparison – What has changed since 2014? Roof ventilation blog has come across some major changes in the past few years since we released our Roof Ventilation Alternatives Chart in 2014! On this new chart you’ll notice that some roof ventilator brands (e.g. 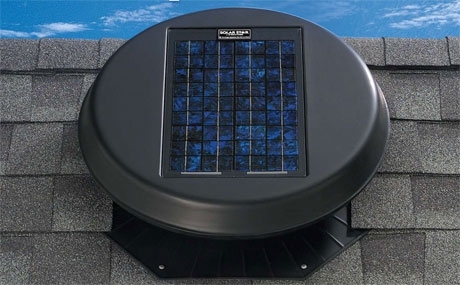 Solar Vent) are no longer are available, and that some companies have introduced new roof ventilators to the market (Edmonds Odyssey) and that market leading products have further improved their designs (Solar Whiz). It is worth noting that over the last 4 years or so – we have seen a large number of roof ventilation brands entering and exiting the market – indicating that although there are many products to choose from at any given time – not many newcomers survive! As we’ve said earlier, whirlybirds are not normally the best product option for roof ventilation on the market. Solar ventilators seems to be the way to go for cost effectiveness and high airflow rates. 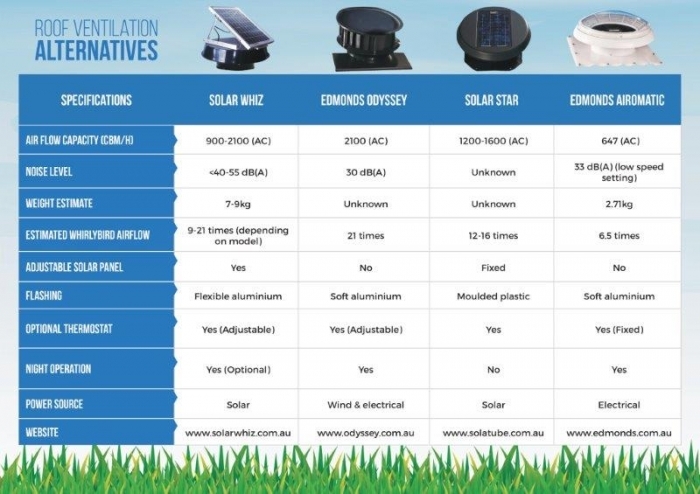 The roof ventilation alternatives chart outlines the information as it has been published by the different manufactures. However, be aware that it seems that manufactures use different ways of measuring air flow – making it difficult to compare the airflow for the different brands. 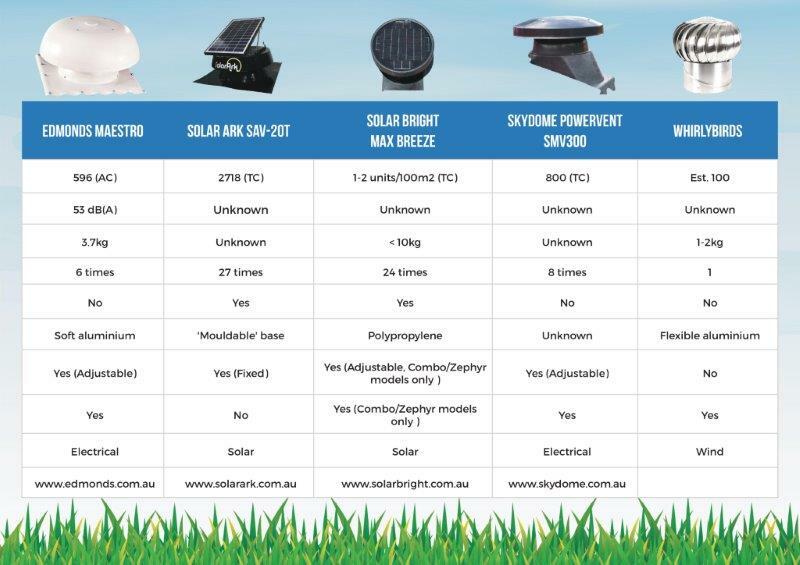 It appears that the major players who have been in the market longer: Solar Whiz, Edmonds and Solar Star – apply the actual maximum capacity of their roof ventilators (with restrictions in the air supply), whilst all other brands appear to publish the theoretical maximum capacity of the fan itself – without restrictions – such as the cap of the unit, which of course is essential for any roof ventilator to be functional. Download the Roof Ventilation Alternatives Chart 2016. Hopefully this updated Roof Ventilation Alternatives Chart will help you choose the best and most effective roof ventilation solution for your house and requirements. If you want anymore details or want us to investigate a roof ventilation system we haven’t mentioned yet, be sure to leave a comment or send us a message!